Get this ring and forever be reminded of the beautiful texture of tree bark and nature's diverse patterns. 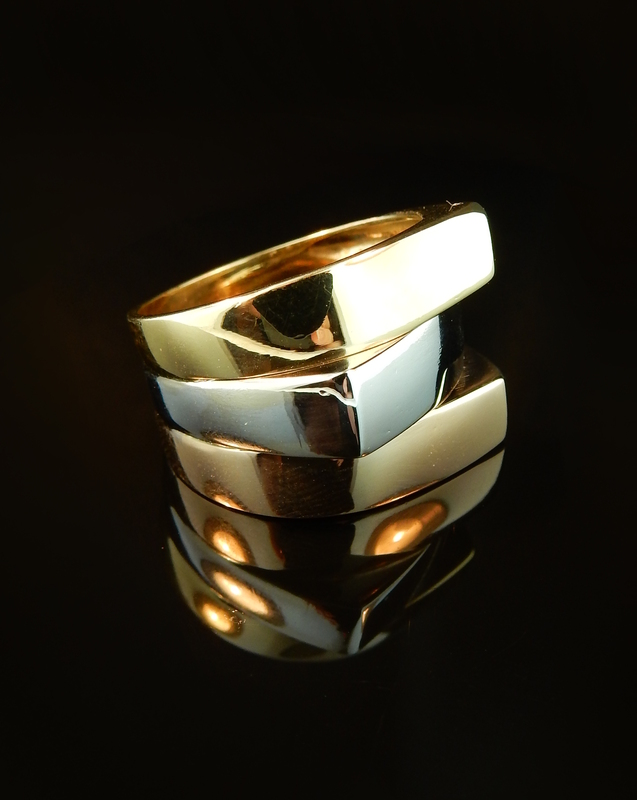 This cigar ring is very comfortable and individualistic. You've never seen a ring like this! This golden estate ring makes quite the statement. This bold ring features more than one finish to create contrast and depth. It's immense amount of detail adds the perfect pop of gold to your ring collection. The beauty in this twisted knot ring is exceptional. The contrasting yellow and white golds interlock to weave together a timeless design that can be worn forever! This heavyweight ring has a striking display of shine! Weighing over 16.5dwt and featuring a distinctive crossover shank, you need this accent ring. Different finishes can create such different looks on rings. 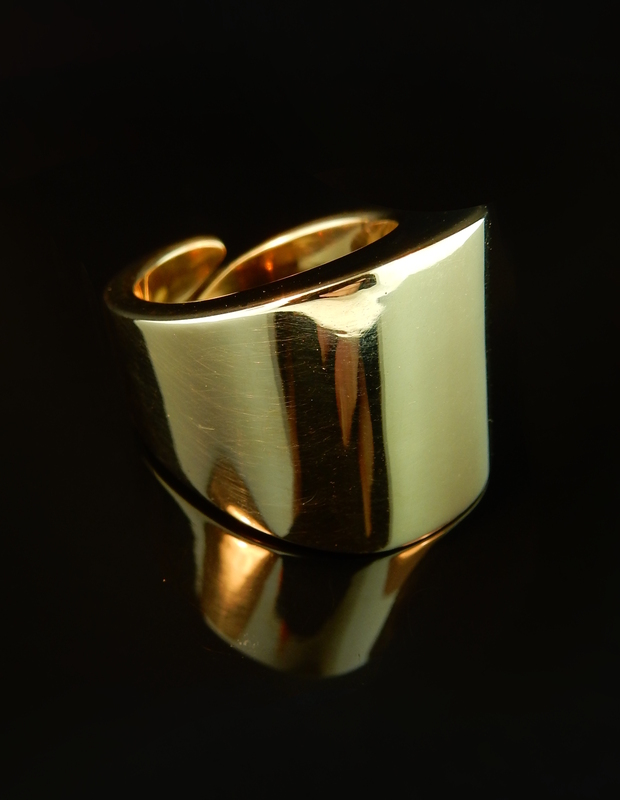 This sandblast finish gold ring has a cool geometric dome on it. It's smooth edges make it perfect for every day. 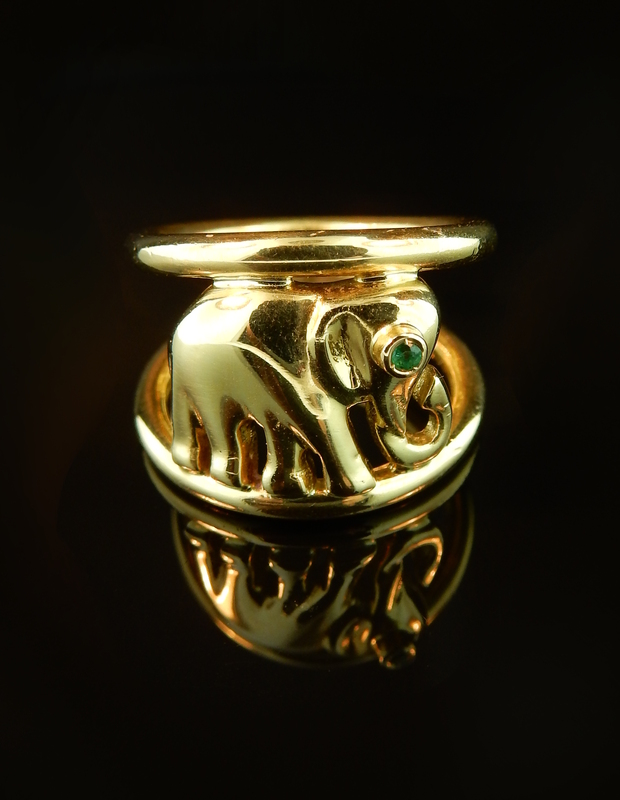 If you love elephants this ring is for you! Created with solid 18k yellow gold with a high quality emerald eye, this is such a fun piece! This very interesting ring has three different levels. 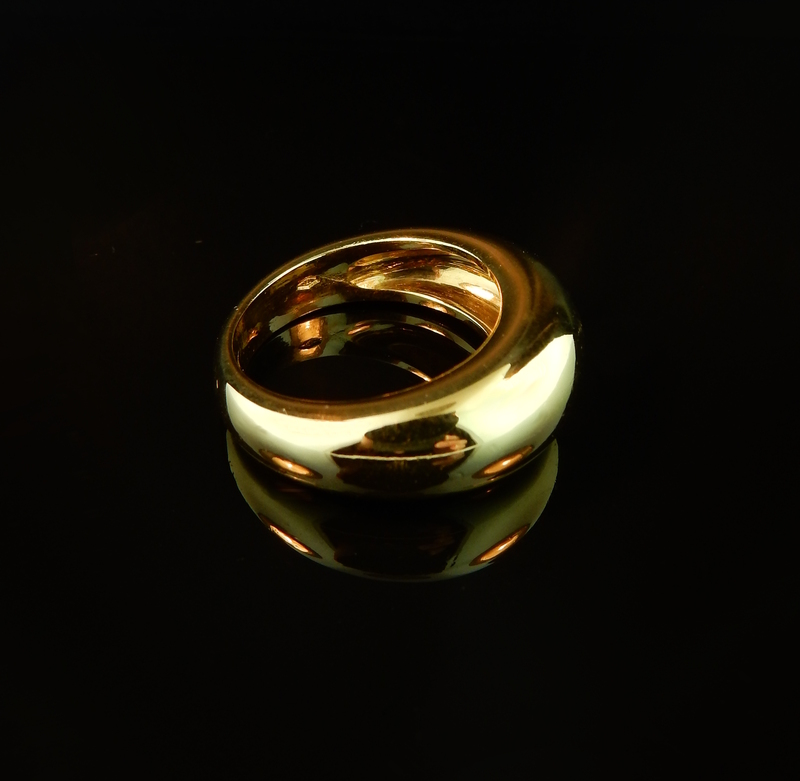 One layer is 14k yellow gold which flows into another level of white gold which is finished with a layer of rose gold. The different colors in this ring give it dimension which it's high polish brings it all together for a coherent look! These black onyx beads are so cool! They have been hand carved to accentuate the overall one of a kind appeal to this vintage piece. 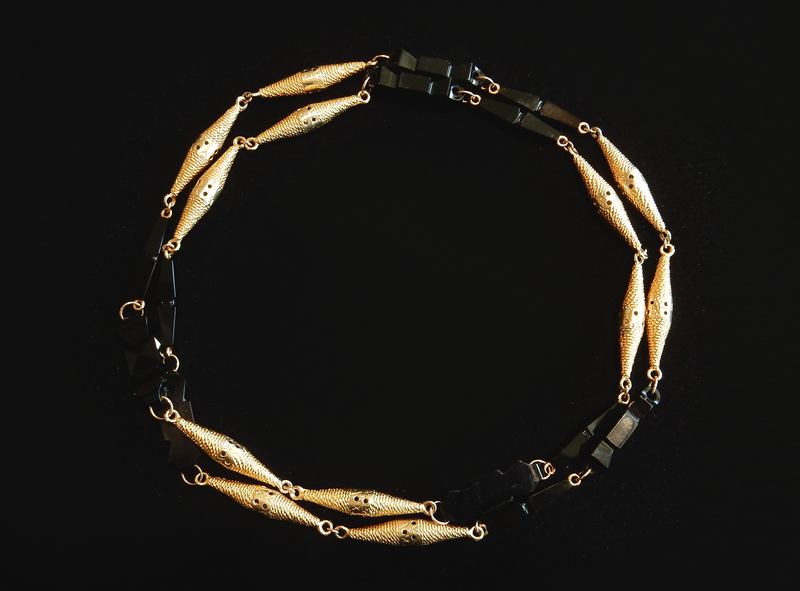 It feature twelve onyx beads as well as twelve multi-texture elongated gold beads. This is an infinity style necklace and can be worn as one long piece of it can be doubled up. Choose how you would like to wear it each day! 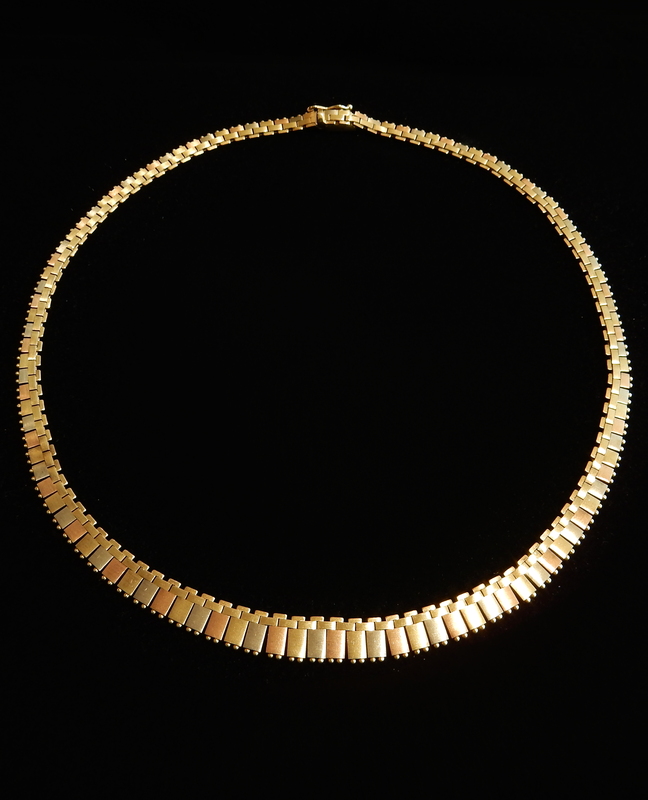 Big yellow gold pieces are coming back in style This heavyweight large link necklace weighs over 55.0dwt and is a big burst of high polish gold to your outfit without adding too much color or texture. Adorn yourself with this big and beautiful necklace today! What a piece! This circa 1970's vintage necklace features 8.00tcw of VS-G diamonds. These round brilliants capture sunlight and give back the ultimate sparkle. 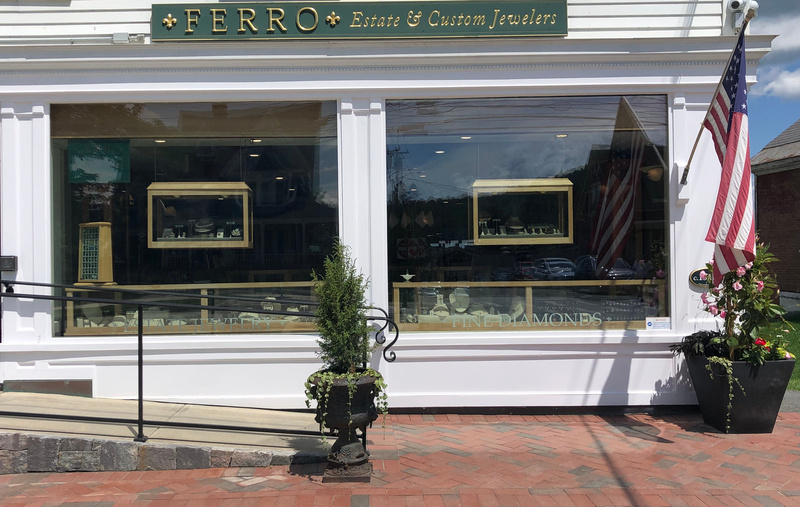 All created with solid 18k yellow gold, you need to come try this piece on to see its everlasting beauty. 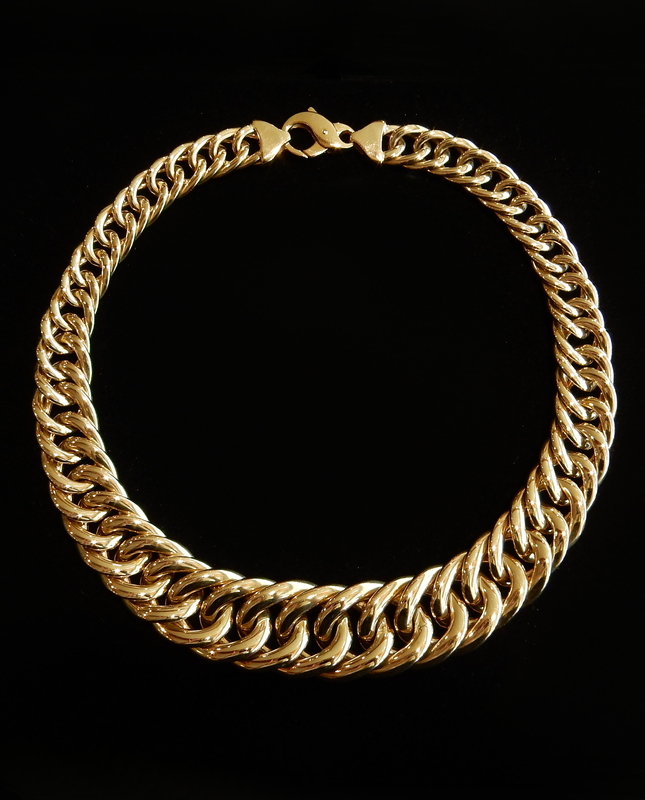 This solid 14k yellow gold necklace is incredibly different from anything you've ever seen before. 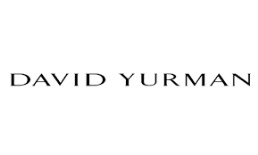 It's style of links display personality and it's length insures visibility no matter what you're wearing. Weighing over 16dwt, this piece would make a great addition to your already beautiful gold collection.